Diego: From your PhD dissertation to your consequent production, your research has been closely related to the creation of documentaries. In your vision, what is the contribution that documentary filmmaking-based researchers can add to the field of ethnomusicology? Jeff: The use of audio-visual technologies is nothing new to the field of ethnomusicology. Many of us work with recording devices of different kinds and, in a way, their use defines our practice in the field. We can also point to a long line of ethnomusicologists and cultural anthropologists who have turned their audio-visual documentations into films—Margaret Mead, Hugo Zemp, Judith and David MacDougall, Amy Catlin- and Nazir Jairazbhoy, to name a few. One of the apparent benefits of the use of film-as-research is that it allows music to be heard and the music-makers to “speak for themselves,” although this does not entirely reflect what goes on in the field or editing suite, especially in the observational or even reflexive observational film genres. I would venture to say that the contribution of filmmaking to our field is not just what comes after filming and the headache of post production, but within the embodied practice of doing research. Participatory and performative filmmaking, in particular, allows us to engage music’s creators, forms, and functions in interesting and sometimes surprising ways that also uphold the ethics of social responsibility and advocacy. I am borrowing the word “participatory” from cinéma vérité to describe the ways in which researchers and participants engage in the shared labor of decolonial scholarly praxis. There are a number of ethnomusicological filmmakers out there who are doing this sort of thing. Zoe Sherinian (2011; 2014), whose work brings her to drumming communities of Dalit women in South India, is a great example of the ways in which the practice of participatory filmmaking can foster solidarity between women of diverse backgrounds. 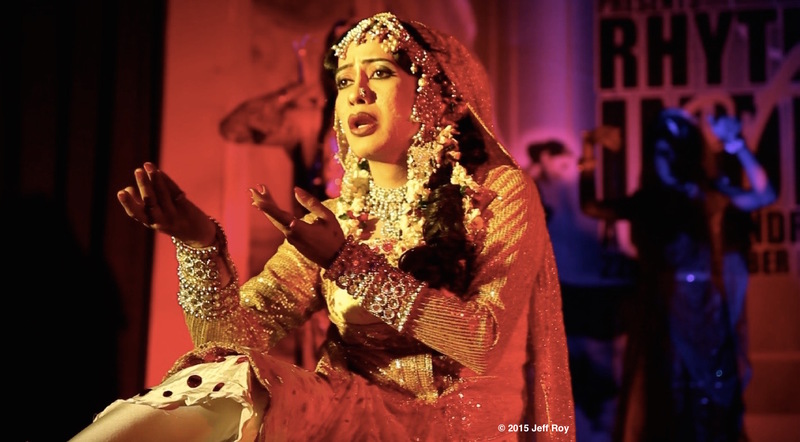 Taking into serious account the long history of exploitation of queer and trans subjects in the media worldwide, my own film work with hijra and gender nonconforming performers in Mumbai has involved performance not just as an object of study but as method. In my recent projects––most recently with the Dancing Queens, with whom I have worked for many years––I investigate the ways the collaborative practice of filmmaking can manifest different shared imagined futures for performers who are invested in social change. I explain in detail what I call a performative, or queer, approach to ethnomusicological filmmaking in a forthcoming essay with Queering the Field (Roy, forthcoming). Photo from Dancing Queens: It’s All About Family (2016). Courtesy of Jeff Roy. Photo from Dancing Queens. Courtesy of Jeff Roy. Diego: The video medium can help a researcher to overcome the limits of scholarly written production, creating research output that can be accessed from different levels and speak to a broader public. Do you ever think about your documentary work in these terms? Jeff: I think you’re absolutely right. Since film has the power to speak on many levels to wide and diverse audiences, we must be critically attentive to how it represents and impacts the lives of those in front of and behind the camera. Diego: Your work is heavily tied to the politics of representation of the LGBTIQ+ community in India. What was the reception of your documentaries inside this community? Jeff: It largely depends on the film. I’ve made films that have been received positively by activists and scholars from inside the LGBTIQ+ community in India. 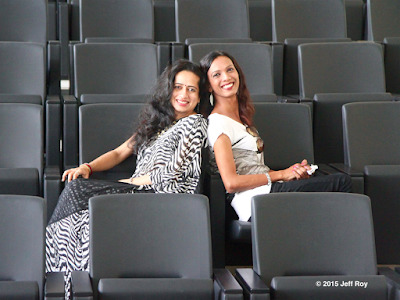 Some have even won awards at queer and mainstream film festivals in India and elsewhere. But I’ve also made films that, for one reason or another, have been challenged. All of these responses have informed my filmmaking practice in some way. Filmmaking is about opening up dialogue between your collaborators, yourself, and your viewers. When you make films and when you are creating a body of work in general, you are making something that lives and breathes. Your film’s release date is the date of its birth, and you and your collaborators have to nurture the baby throughout its reception. Sorry for the clichéd birth metaphor, but I think I may have a bit of womb-envy. Diego: Can you give me an outline of the basic setup in which you conduct fieldwork and the consequent shooting of the documentary scenes (if these are divided)? Do you prefer a solo filming process, or collaborating with a technical crew? Jeff: Each film requires a different approach and set of logistics. But it has become increasingly important to me to involve study participants at all stages of film production, including pre-production (script writing, raising funds, planning of budget, hiring talent, scouting locations, buying and renting equipment, and other painstaking labors), production (actual filming), post-production (editing, color correction, sound mixing, more painstaking labors), and audience engagement (red carpet screenings, special events, classrooms, online streaming, and other distribution methods, also known as “the best part”). In my experience, it is important that you and everyone you work with have an idea of where the film is going to go before the first scene gets shot. Co-produced by Godrej India Culture Lab, Courtesy of Jeff Roy. Diego: Your work is permeated with a multilinear representation of the different voices, different perspectives on LGBTIQ+ rights in India. The characters in your films seem to be engaged in a dialogue with the camera. Can we talk about your research framework as profoundly influenced by the dialogical approach? Jeff: I think this comes from my training with Marina Goldovskaya, my adopted grandmother of documentary from UCLA’s Department of Theater, Film & Television. She encouraged her students—who she called her grandchildren—to consider the camera as a human character within the narrative of the film. (She is a very important figure in the cinéma vérité school of practice. Consider this an official "shout out.") Humanizing yourself and your collaborators in the filming process tends to become a default position when in the field, since in most extremely low- or no-budget circumstances, you are your own cameraperson, sound person, director, and producer. But, I lean heavily on this approach even with a crew because it signals the presence and perspective of the filmmaker, weakens the objectifying gaze of the camera, and—if shot and edited in such a way—draws the spectator’s attention away from that “object over there” to the lived encounter between two or more people. This reminds me of a quote from Lucien Taylor (1998, 3), who says that if documentation is not, in the end, participatory and self-reflexive, then it is not human. Diego: Right after your directorial debut film (Mohammed to Maya), in 2013 you produced the documentary series Music in Liminal Spaces that comprehends fourteen different episodes structured as portraits of Mumbai’s underground musicians and dancers. What drove you to the choice of doing a series instead of a single documentary? 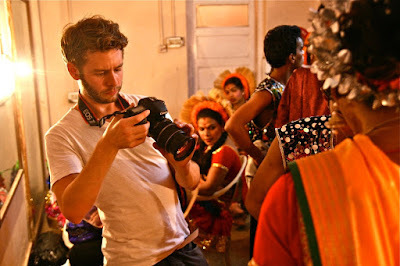 Jeff: I wanted to create a documentary series centering on the lives and experiences of members of Mumbai’s queer, trans, and hijra music communities, without demonstrating a preference for any particular person, group, or non-governmental organization, in a way that would have happened in a single film. I wanted each of the films to speak on their own, not only for narrative purposes but also so that those with whom I worked would be able to claim the film as their own and use it for whatever reason. Some of my collaborators have used films and images to promote their own concerts, albums, social media personae, or political demonstrations, for instance. Executive produced by Fulbright-mtvU, Courtesy of Jeff Roy. Diego: You have a strong media presence, especially on the internet. Dedicated websites and press reviews highly cover many of your projects. How much of the public showcase of your research work through internet and the press is essential for you? Is this, in some instances, attached to the values of the Indian LGBTIQ+ community's representation that your work has? Jeff: Absolutely, or in queer speak, yass queen. Much of the media attention came as a result of the stature that some of my participants already have in the public sphere—Laxmi Narayan Tripathi (a political figure and reality television star), the Dancing Queens (who regularly perform at Pride events), Prince Manvendra Singh Gohil (whose story was featured on The Oprah Winfrey Show), Alisha Batth (Coke Studio India), Alisha Pais (The Stage), and others. In other cases, the films helped to raise awareness about the lives and experiences of people who have a presence in their neighborhoods, community centers, and/or performance communities, but who may be lesser-known on a national or international scale. Much of the media attention that we received became part of the communities’ own efforts to amplify the voices and showcase the talents of those who have otherwise been silenced, sidelined, or shut out of public discourse. As I alluded to earlier, I am deeply invested in what films can do for those invested in their production. This means that the projects I take on must, from their inception to projection on the silver screen, align with the hopes, dreams, values, and practices of those who are involved in the collaborative process of making them. 2. Zoe Sherinian has produced and directed two documentary films, This is a Music: Reclaiming an Untouchable Drum (2011) and her more recent Sakthi Vibrations (2018), which focuses on the use of Tamil folk arts to develop self-esteem in young Dalit women at the Sakthi Folk Cultural Centre. Roy, Jeff. 2015. "Ethnomusicology of the Closet: (Con)Figuring Transgender-Hijra Identity Through Documentary Filmmaking." PhD diss., University of California, Los Angeles. ProQuest ID: Roy_ucla_0031D_14087. Merritt ID: ark:/13030/m5574gn5. Retrieved from https://escholarship.org/uc/item/9f89v8mm. ———. Forthcoming. “Her Tall, Slender Frame: Con/Figuring Transgender-Hījrạ̄ Music and Dance Through Documentary Filmmaking.” In Queering the Field: Sounding Out Ethnomusicology, edited by Gregory Barz and William Cheng. Oxford: Oxford University Press. Sherinian, Zoe, dir. 2011. This is a Music: Reclaiming an Untouchable Drum. Sherinian Productions. https://search.alexanderstreet.com/view/work/3407942. ———. 2014. Tamil Folk Music as Dalit Liberation Theology. Bloomington: Indiana University Press. Taylor, Lucien, ed. 1998. Transcultural Cinema, written by Douglas MacDougall. Princeton, NJ: Princeton University Press.